Sri Lanka has hailed the decision taken by the BRICS countries not to support the US-backed UN resolution against Sri Lanka in Geneva on Thursday. External Affairs Minister G.L Peiris said “the decision taken by India was significant”. India on Thursday abstained from the vote saying the new resolution had severe shortcomings. New Delhi has criticized the US sponsored draft resolution saying it was inconsistent and impractical. The resolution on Sri Lanka submitted to the UN Human Rights Council was passed by a majority vote with 23 countries of the 47-member council voting for and 12 against it while 12 abstained. China and Russia were among the countries that voted against the resolution. Another BRICS member, South Africa abstained from the vote as it is a mediator in the Sri Lankan reconciliation process. “A mediator does not take sides….boths sides in Sri Lanka have requested SA to mediate. President Zuma has appointed Mr Cyril Ramaphosa to play that role. Our abstinence was explained….we have an important role to bring the two sides around the table to dialogue and begin a process of national reconciliation and healing,” South Africa’s Foreign Ministry spokesperson Clayson Monyela told The BRICS Post. The Sri Lankan Government on Thursday slammed the US over a draft resolution which was adopted at the UN Human Rights Council in Geneva. 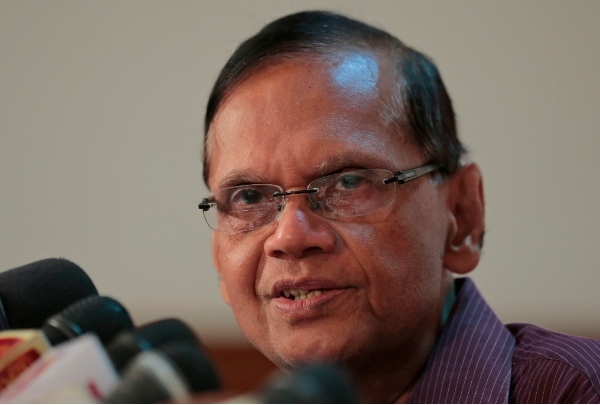 External Affairs Minister G.L Peiris said that the US exerted pressure on some countries for them to back the resolution, including by warning that failure to back the resolution will hurt ties with those countries. “Some countries had no choice but to back the resolution. They could not reject US threats as some countries have strong economic ties with the US,” he said. Meanwhile, Sri Lankan President Mahinda Rajapaksa, on Friday, ordered the release of all Indian fishermen in Sri Lankan custody, hours after India had decided to abstain from backing the resolution against Sri Lanka at the UN.